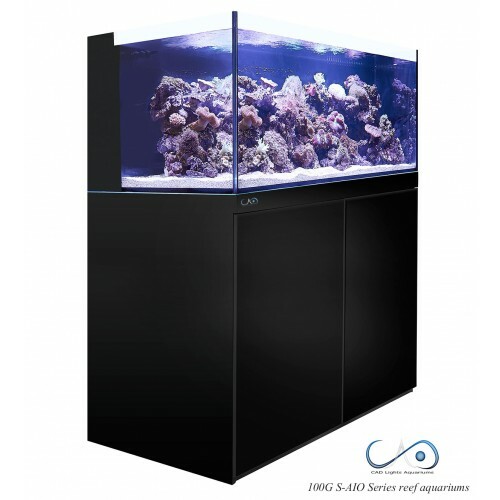 CAD Lights is ecstatic to present the new SAIO series of aquariums, the first All-in-One (AIO) system using true sump performance equipment. After several arduous months of designing, sketching, and testing the time tested classic AIO, the SAIO is the prodigal product incorporating the AIO’s all-inclusive and compact simplicity when it comes to its use, and at the same time boosting its filtration power. 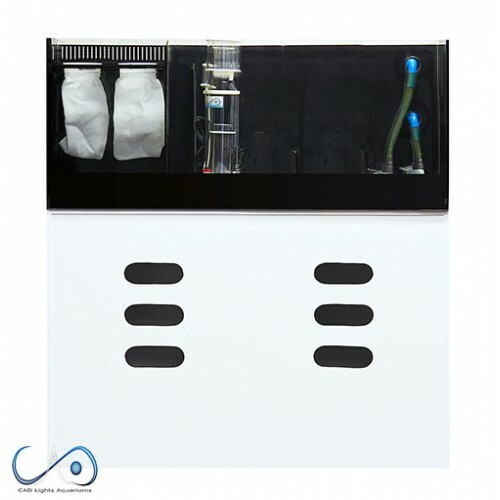 Traditionally, AIO’s are conceived to be underpowered in the past Due to its space constraints. So by adding in patented ultra-compact CAD Lights equipment such as our powerful PLS pipeless skimmer (Which we use on our fully sumped Artisan reef systems), we are able to truly produce a AIO with the power of a sumped system unlike any on the market. The SAIO also uses dual 500 GPH sump pumps, which are the same pumps in the Artisan series. The SAIO series cabinets are available in piano black or piano white. 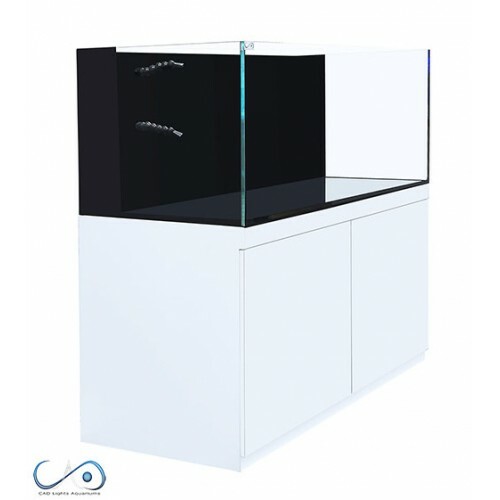 •36” hard plywood cabinets with Oil-based painted Piano finish. overall height of 56". *compatible with our NR-1 Pro media reactors.